In a Nutshell: Last year, ABC's four-week musical "comedy extravaganza" started with a very workable 2.0 demo on the first Sunday of 2015. But it was swallowed up by event season in the next two weeks (1.3 -> 0.9) and could only get back to a 1.1 when the competitive load was lightened for its final airing. But that was apparently enough to get it another run for January 2016, this time for five weeks. Best Case: There was clear initial interest in this concept last year. With five weeks instead of four, the competition should be easier on average, as it the only major events are the Golden Globes and the NFC Championship. It gets back to the mid-1's in the good weeks and can actually hold to low-1's in the rough weeks, matching last year's 1.33 average. Worst Case: It's a limited series, except it's been off the air for even longer than most of the limited series: 48 weeks! Comparing the 2.0 premiere with the 1.1 finale, it was clear there was a lot of rejection of this concept, so it's never going to get back to a 1.0. The episodes against big events are truly ugly. 0.70. Likeliest: Even though the 1.1 finale was up two tenths week-to-week, I thought it was the result that would doom Galavant, since it didn't have much of an excuse competition-wise. It's hard for me to see it doing much better than that now, though I think whoever comes back will be a little more loyal. It might help a bit that the two big events it faces are not in consecutive weeks, but I still think it goes into the zeroes those weeks. 0.98. If it averages this, it wouldn't really be much weaker than the show that ended last season, so could it get another reprieve? 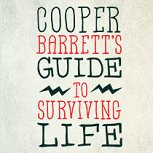 In a Nutshell: Fox will use its last regular season NFL lead-in to try to boost the premiere of the young-skewing hangout comedy Cooper Barrett's Guide to Surviving Life, which will air at 8:30 after The Simpsons. Initially given just a six-episode order, Fox extended it to 13 in September. Best Case: All indications are that Fox really likes this show; they extended the order, and they're putting it in a situation where the clear goal is to maximize its ratings. And it becomes clear early on that it's something special, holding almost all of The Simpsons audience even on the NFL nights and then building in the winter/spring. 1.75. Worst Case: This is yet another case of a network falling in love with a clever hangout comedy that has very limited appeal to the masses. It is a weird pairing with The Simpsons, and Fox quickly changes course and returns Brooklyn to the night. 0.80. Likeliest: The idea behind this scheduling makes sense; airing on Sunday with a couple weeks of NFL help probably gives it a better chance at getting sampled than it ever would've had in fraction-town on Tuesday. But I can't help but feel like New Girl is still a much more natural pairing, and I'm skeptical that the Simpsons/Family Guy crowd is going to buy into this as they clearly have to some degree with Brooklyn Nine-Nine. The sheer lead-in volume in the early weeks help Cooper do better here than it would on Tuesday, but still not as well as Brooklyn would have. A front-loaded 1.17. Fox is pretty desperate, so this may be enough to get it some kind of second season (maybe alongside New Girl), but I'm guessing Brooklyn or maybe another newbie will reclaim this 8:30 spot for next fall. In a Nutshell: First announced in 2013 and bumped from the schedule several times since, the latest Seth Macfarlane animated project (about two families living near the U.S.-Mexico border) finally hits the airwaves in 2016, leading out of Family Guy. Best Case: Being a Seth Macfarlane cartoon makes Bordertown inherently more compatible with Family Guy than The Last Man on Earth ever was. 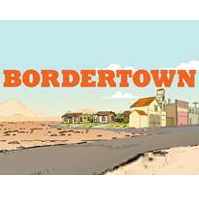 It should make Bordertown a much better retainer of the Family Guy audience, and this topical series may in fact retain almost all of its aging lead-in. It beats Last Man's fall average despite airing in the much more difficult winter/spring: 1.50. Worst Case: There's a reason this show has been on the shelf for so long. It's a failure of Mulaney proportions, and it becomes clear that Fox left Last Man off its midseason sked because they knew they'd need it back here. 0.70. Likeliest: I don't think this concept has the initial breakout potential of The Last Man on Earth, but I also think it'll be compatible enough to do no worse than current-day Last Man would do in the winter/spring. Of course, that kind of performance has left Last Man in limbo, so I'm not sure it's gonna work for an expensive animated series with long production cycles and all that. 1.07.